The government has provided advice about the international movement of both plants and animals which are protected should there be a ‘no deal’ exit from the EU. In order to minimise disruption, a permit will be required, and travel will only be permitted via certain ports. • To guarantee enough system capacity, the government has increased the quantity of CITES (Convention on International Trade in Endangered Species of Wild Fauna and Flora) points of entry/exit. • Those involved in moving CITES regulated species will need to apply to the Animal and Plant Health Agency for a permit or complete an import notification form. • CITES species will only be able to travel via certain ports, thus transport routes may be restricted. Those normally using busy routes such as the Eurotunnel may need to make alternative arrangements as these ports will not be included. Full details can be found at GOV.UK about CITES permits and points of entry. 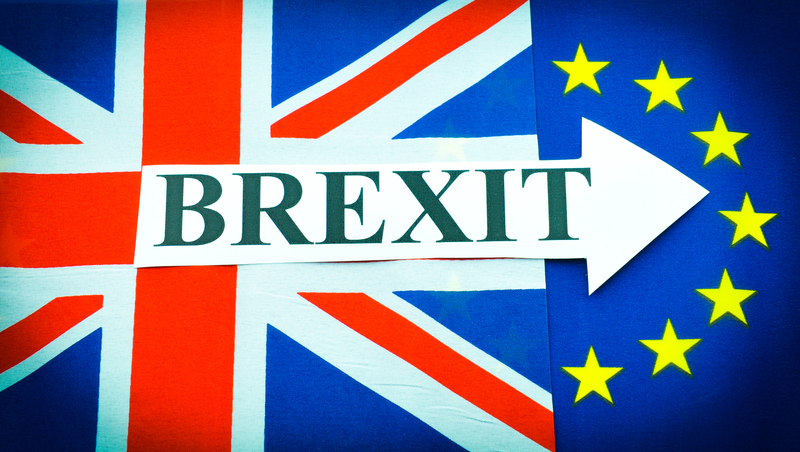 Should the UK leave the EU without a deal, legislation will need to be put in place to protect the Customs, VAT and Excise regulations and functions. In order to do this, HM Treasury and HM Revenue and Customs have begun to prepare a series of Statutory Instruments (SIs) under the Taxation (Cross-border Trade) Act 2018 (TCTA) and the EU Withdrawal Act 2018 (EUWA). The legislation will look at replicating the current EU legislation whilst at the same time putting in place new policies to prevent disruption and keep trade flowing smoothly across the UK’s borders. Guides will be available about importing/exporting, advising businesses on what steps they should take with a no-deal scenario. HMRC has already written to businesses who trade with the EU, advising what actions need to be taken and what they need to be aware of. Further communications will follow as we get closer to EU exit day. The only key element missing from the Government guidance at this time is clarification on what tariff codes would apply on leaving the EU with no-deal. This data is particularly important as it forms the basis for calculating duties and taxes on imports into the UK. SimplyDuty has requested several times that this information be made available but at this time HMRC has declined to provide the data (which has already been submitted to the WTO). The new independent trade remedies system will safeguard businesses in the UK due to any unfair trading practices that may occur when we leave the EU. This would include such things as surges in imports, dumping and subsidies. The TRA should be ready by the 29th March 2019. The new system will comply with WTO rules and will include a statutory appeals system for all trade remedies decisions. Also included will be a new TRA website which will enable users to submit applications online. The new authority will be Reading based, responsible for investigating unfair trading practices and unforeseen surges in imports whilst at the same time able to recommend new measures to protect UK industries. For those businesses with a UK-issued BTI ruling, this will remain valid until its expiry date or until revoked. However, for those looking to renew a BTI if the UK departs the EU without a deal, there will be changes. Many businesses will have already received a letter from HMRC inviting them to try out the new BTI digital system. Available via GOV.UK, in order to use the new digital BTI, you will simply need the same information as at present i.e. • Economic Operator Registration and Identification (EORI) number. BTI rulings will be referred to as ‘advanced rulings. The benefits of a BTI ruling is that a business can be sure that they are importing on the correct hs tariff code. This prevents any misclassification on import and reduces erroneous customs charges. To find out more or to register to use the new digital service, email: HMRC-DDCYteam-bindingtariff-g@digital.hmrc.gov.uk. You need to show ‘BTI Application – user research’ in your email header/subject line. For further details, search for ‘Notice 600’ on GOV.UK or email: tariff.classification@hmrc.gov.uk. Alternatively, in order to stay up-to-date, register for HMRC’s EU Exit update service via: www.gov.uk/hmrc/business-support. Choose ‘business help and education emails’, enter your email address, press ‘submit’, choose ‘Add subscription’, select ‘EU Exit’ then press ‘submit’.